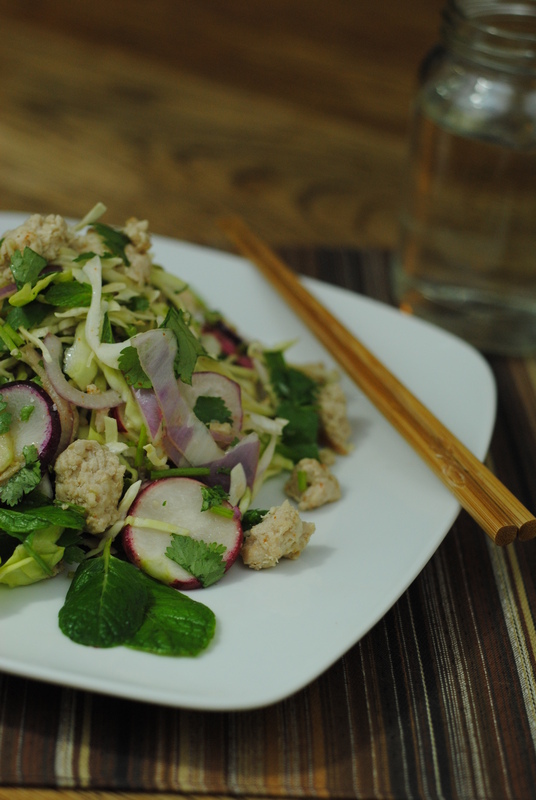 Larb Gai is delicious, and is an easy recipe, too. It’s naturally low-fat and low-carb, and full of all kinds of vitamins, but with none of the nasty amines that get you down. I like to make it and pack it (dressing separate) for lunches. Undressed, the Larb Gai will keep for a few days while you eat away at it. 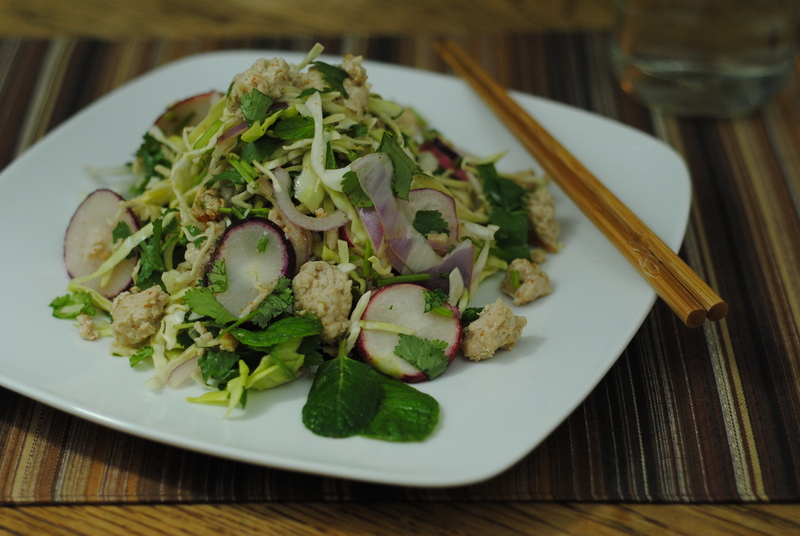 This Larb Gai recipe also excludes fish sauce, avoiding fish and shellfish allergies, as well as amines. Enjoy! In a dry pan, toast rice. 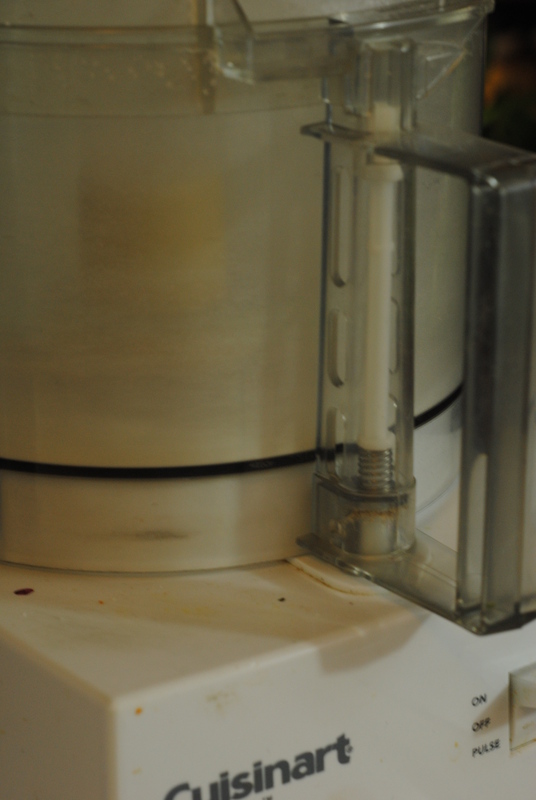 When lightly browned, use a food processor to grind it as small as possible. The toasted rice powder (khao koor) will help thicken up the meat juices. 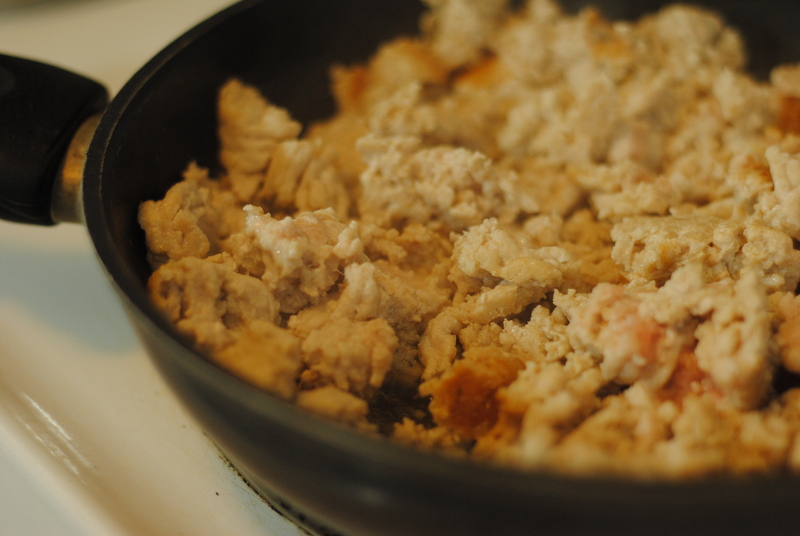 In a large pan, cook meat over medium heat with oil, breaking it up into small pieces as it cooks. Add lime, 1/2 tsp salt, and toasted rice powder. Mix well. When done cooking, set aside. 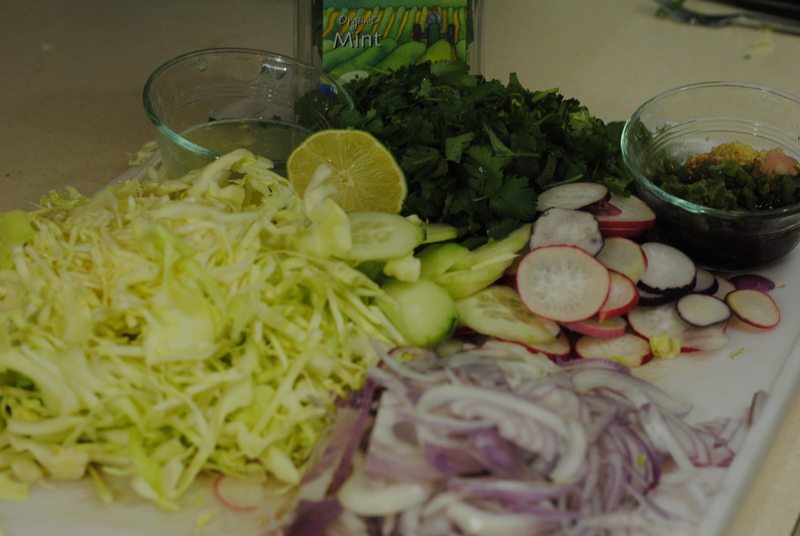 Using a mandoline, slice onion, cabbage, radishes, and cucumber thinly and add to a large bowl. Add mint leaves. Toss Larb Gai salad until well mixed. When meat is cooled, add to Larb Gai salad and toss together. 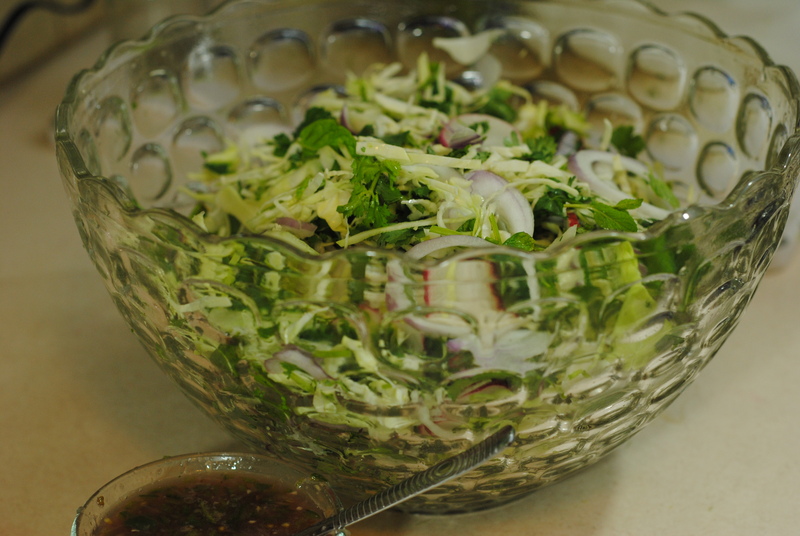 In a small jar or bowl, mix together all Larb Gai Dressing ingredients. Mix until sugar and salt are dissolved. Depending on how many people you are feeding, use all the Larb Gai Dressing and toss well, or pull aside the portion you want to serve, mix in an appropriate amount of dressing, and toss well. Larb Gai will not keep as well once it has been dressed, so keep the dressing separate if you plan on saving it for later. Serve, garnished with mint leaves and a dash of cayenne or red chili flakes over the top for color (optional). I’m excited to try this! It is not easy to find recipes that I can cook in Japan. It looks like a great meal for the soon to be deathly hot weather here. Chiba prefecture. I can’t think of anything at the moment, but I will keep it in mind. I really enjoy your soy sauce and sesame oil substitutes. They’re great for making Japanese meals allergy-friendly!